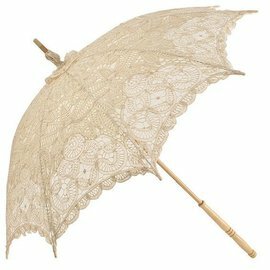 This vintage style parasol is made with a lightweight cotton Battenberg lace. 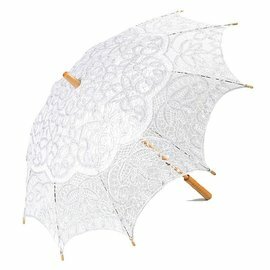 Our parasols are designed principally to provide shade from the sun. 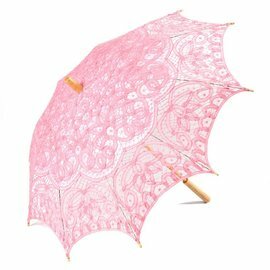 They can be used as colorful, protective fashion accessories on sunny days. They're also beautiful as home decor (they look especially good when backlit!) and as party and wedding decorations. 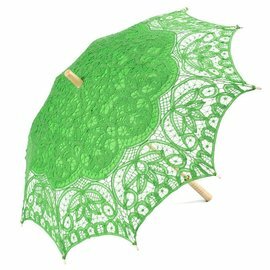 More and more, people are using parasols as party and wedding favors-they provide comfort and fun to guests during outdoor summer celebrations and can be taken home as a memorable thank-you for the special day.